A week ago we commented on a report about 40 percent of the American population believing that “alternative” forms of therapy could cure cancer. In this week’s issue of Modern Medicine there is an even more staggering set of information. The title of Johnson’s article is “Industry slow to improve patient health literacy”, but is “industry” really the guilty party here? Some would argue that this is a failure of our society as a whole, in the sense that many of the things we teach to our children in the first 15 to 20 years of their life now seem to have little to do with preparing them for the next 60 such years. Your sitemaster has been acutely aware — for years — that his blog posts on prostate cancer are only truly useful to a very small percentage of those who get diagnosed with prostate cancer, and that most of the people being diagnosed with cancer in America today either cannot afford (for one reason or another) or have no idea how to access the quality of cancer care that will actually allow them to obtain anything approaching the highest possible levels of quality of care. Under the circumstances, perhaps we shouldn’t be surprised that 40 percent of Americans believe in the power of “alternative” forms of treatment and the idea that such treatment can cure cancer. They have never been given the knowledge necessary to differentiate between how they are being “marketed to” by the varied elements of the healthcare industry and the basic facts about how the human body works in health and in sickness. If you believe the marketing that goes on on television alone here in the Greater Philadelphia area (with a population of the order of 6 million), you could be under the delusion that institutions like the University of Pennsylvania, and Fox Chase Cancer Center, and the M. D. Anderson Cancer Center at Cooper University Medical Center were the only institutions with the ability to treat cancer at all, but being able to access and afford such treatment is a very different issue. And that’s before one starts on all the pharmaceutical and food advertising. Your sitemaster wishes to be very clear that this commentary is not some sort of veiled advocacy in favor of “Medicare for All” (which seems to have a different meaning to almost everyone using this term). On the other hand, it very definitely is a commentary on why America does not have “the best healthcare system in the world” (except for those affluent enough to be able to afford to pay for service at the institutions that can provide such care). It is long past time to seriously revisit the underlying principles of how health care is offered and provided to the US population (which is not the same at all as how we pay for it). And a big part of that is about educating the American population so that they understand what it is that could actually be available to them … if they were to demand it. It all starts with “caring”. 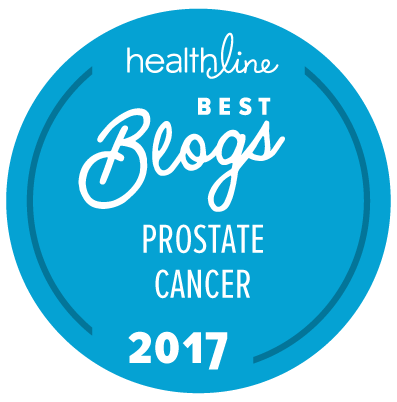 Sitemaster: You expressed this concern: “Your sitemaster has been acutely aware — for years — that his blog posts on prostate cancer are only truly useful to a very small percentage of those who get diagnosed with prostate cancer”. While the direct impact and direct personal benefit may be “very small”, it is likely that many participants use this key information by relaying it in an abbreviated form suited to much wider audiences at support groups and other blogs, and that is in addition to the physicians who put it to use with their patients and researchers who incorporate it in their thinking. As examples, some of the recent blogs have covered important developments that can be briefly “headlined” in several sentences. Key research on whether to debulk the primary tumor, whether to do pelvic radiation, lutetium-177, gallium-68 PET/CT and the soundness of SBRT come to mind. These are some of the developments that will be described at my own upcoming Us TOO meetings (and I’m confident many others) and relayed on other blogs. Thank you for all you do to increase our knowledge about prostate cancer (and health)! Being immersed in patient advocacy for 11 years with more than just prostate cancer patients, the 12% does not surprise me personally. I work with many educated patients whose first language is English and they too are incapable of understanding their conditions much less advocating for themselves … which we try to teach all we help. One major additional factor to add to Sitemaster’s list is that our socialization places medical advisors on a pedestal — we need to provide steps up to the plinth and encourage patients to use them. Well said! I’m both guilty and innocent. Caring is hard work. Here’s to hard work. I would much rather that our “medical advisors” made greater efforts to ensure they got themselves off any perceived pedestals. I have very considerable respect for good physicians. I also have considerable respect for the guy who comes out from Geek Squad to fix my computer when it does weird things that I don’t understand and for the carpenter would can build furniture that I don’t have the skills to even try to emulate. They don’t think they should be placed on pedestals. I have made sure, all of my life, that the doctors who I go to see have no interest whatsoever in being placed on a pedestal (by me or their peers or anyone else).